I've hinted a couple times about a secret project I had in the works and today I can finally reveal it as it has been gifted (and, I think, was a big hit too)! This bobble baby blanket was really fun to make and I was thrilled with how it came out. I will definitely make this again! I loved it so much that I took a ton of photos of the blanket before I wrapped it up. It's such a textural blanket that I could not resist taking some "up close" views. I had a little extra yarn once the blanket was completed and decided I really needed to add a little something for the princess on the way...I can't wait to see her modeling it! So cute! What a fun gift. 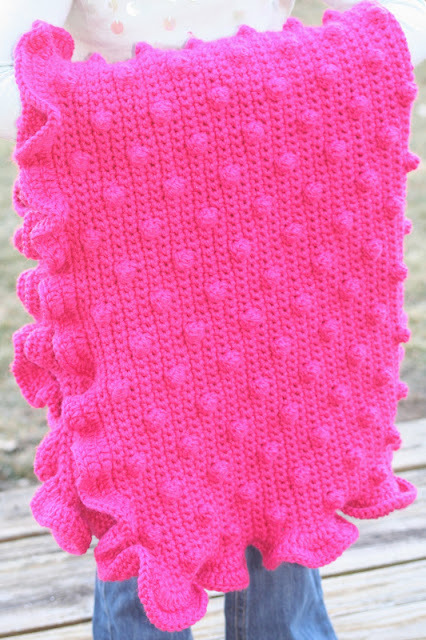 Very sweet blanket - maybe you need to make another for Olivia? Her tiara is sweet! What a wonderful gift! The tiara is adorable! it did turn out super cute!! baby will love it! and keep that one in the back of your head when I hire you for all those babies that better appear in my family!!! and it could still be super cute in blue I think :) even though I am loving that pink! So cute! Both the blanket and the crown :) It's fabulous! I LOVE the blanket, but the princess crown is the best! 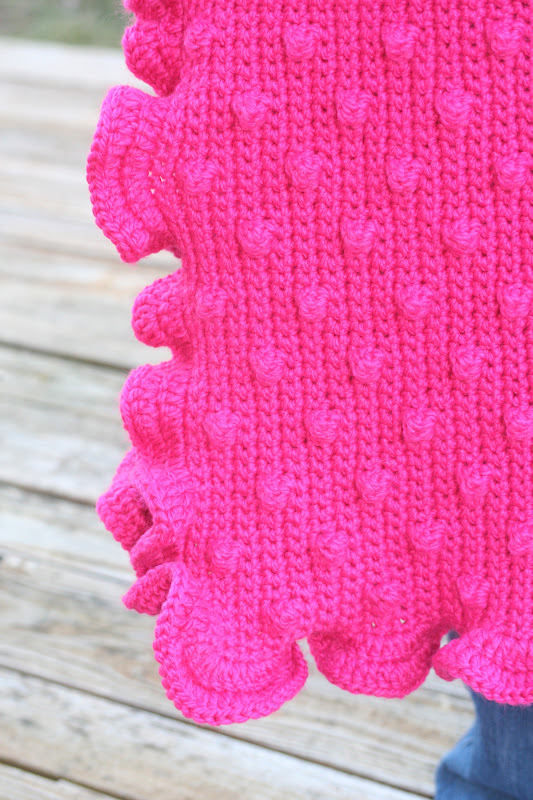 Wow, shocking pink bobbles! 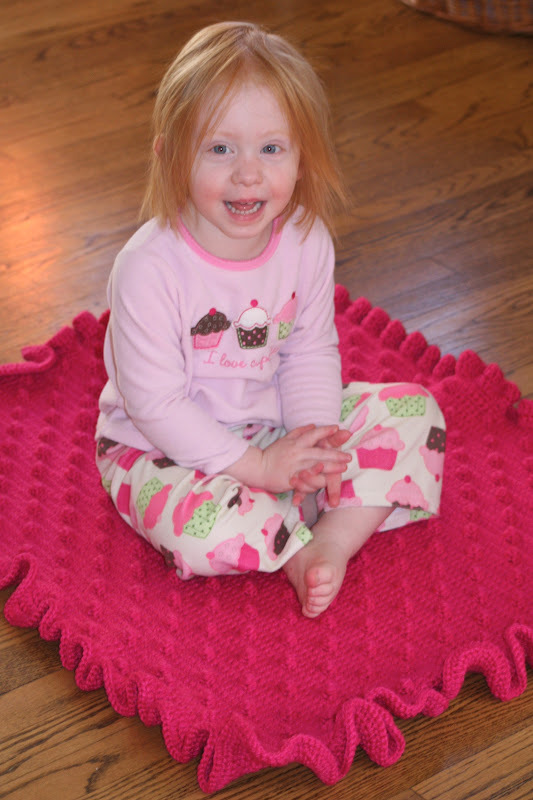 Lovely blanket, I can imagine that it was a big hit! Wow that throw is awesome. I bet my little girl would love the crown too! Oh my, both are made to be worn by a princess. Love the bobbles!